Dentist in Chennai - Thangams Dental Clinic: Invisible Braces!! How Do They Work ?? Invisible Braces!! How Do They Work ?? You feel unattractive about getting braces? Invisible braces are available to make them look better even with braces. Everyone wants an attractive smile but most of them need a help to make their smile more attractive. Braces do a lot with this. The braces are used to straighten misaligned teeth or improve an overbite. The conventional system of treatment includes metal braces and are notoriously uncomfortable and are generally considered unsightly. These issues can be solved with the help of invisible braces or lingual braces. 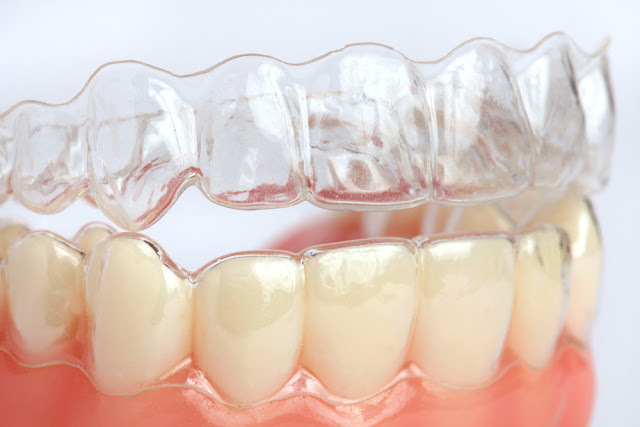 Rather than being worn on the front of the teeth the way traditional braces are lingual braces are placed on the back of your teeth, so that nobody can see them at all. Treatment starts with the consultation with an orthodontist. Impressions of your teeth are then taken. They are sent to the laboratory along with a prescription. Models are made from the impressions and are scanned into the computer. It uses a 3D technology to create the braces that are exclusive to your teeth. The braces are placed on the teeth and customization is done. Popular types of invisible braces include ceramic brackets, inside braces and clear aligners. All patient put the question that for the duration of the treatment…. The length of the treatment depends on your situation and the type of invisible braces you are wearing. Typically braces worn from 18 to 24 months, sometimes worn longer. Dr. P. Rajesh Kumar is the dental surgeon at Thangam’s Clinic. He is well known for his care for patients and skill in using the modern medical equipment. The clinic is conducting camps in Chennai to make people aware of the importance of dental care and the oral practices to be followed.